Lake Placid NY: Crown Jewel of the Adirondacks! The old-world style community of Lake Placid NY represents the best of the Adirondacks. This little hamlet has been front and center on the international stage twice, hosting the 1932 and 1980 Winter Olympic Games. It is a winter sports paradise that continues to meet the needs of world-class athletes in training, as well as providing visitors with unique opportunities to try everything from downhill and cross-country skiing, to bobsled rides and dogsled tours. Visitors to Lake Placid have a chance to experience the unique history of Lake Placid, including a tour of the Olympic Museum, location of the 1980 "Miracle on Ice". 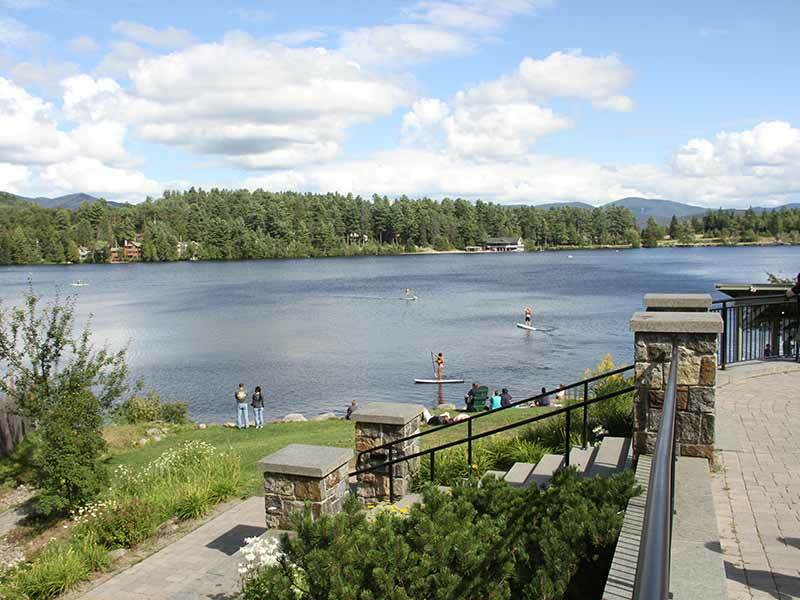 The cozy, picturesque village is perched on the shores of Lake Placid, its winding streets providing the perfect setting for unique designer clothing stores, antique and gift shops, and Adirondack artisans. Tour Civil War abolitionist John Brown's Farm and thrill to the breathtaking views of the High Peaks from a gondola ride up Whiteface Mountain. There are many choices for lodging in Lake Placid. Lavish hotels and resorts, rustic and elegant bed and breakfasts, cabins and RV resort camping all offer weary visitors respite and comfort after a busy day exploring the Adirondacks. An impressive array of restaurant choices make dining out in Lake Placid a delightful experience, with everything from intimate and elegant gourmet spots to old-fashioned family style. Après-ski and nightlife here is lively, offering everything from sports bars to dance clubs and quiet pubs with scenic views. Lake Placid is a 2-1/2 hour drive from Albany NY, two hours from Montreal, and about 5 hours from New York City. Flights are also available into the Lake Placid Airport and Adirondack Regional Airport.